When it's time to dust off Christmas music each year, most people go back to the familiar tunes by familiar artists -- from Bing Crosby to Mariah Carey to Steven Curtis Chapman. But finding new "gourmet" holiday music is a difficult task. If you're looking for stuff that's not cheesy or cliche -- but might have some indie music panache, it can be hard to find because independent holiday releases don't get a lot of marketing dollars put behind them. UTR is ready to step in and make it easy for you. Here is our curated list of the 6 Best Christmas Albums of 2016! We tried not to like this album as much as we did. We didn't want to feel like Captain Obvious by having Josh Garrels' first ever holiday release land at #1. However, these beautifully-produced 15 tracks just cannot be denied. 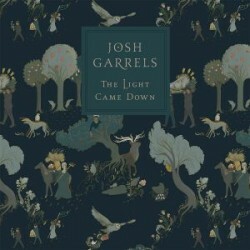 This is Garrels most quiet and reserved album of his career, yet it has all the things people love about Josh's music: sweeping arrangements, soaring falsetto, some groove moments, and tons of originality. It's a timeless collection that can be enjoyed year round (i.e. no sleigh bells used) with some advent hymns, 6 originals, and a couple of instrumentals. The Light Came Down is the best new Christmas album of the year! 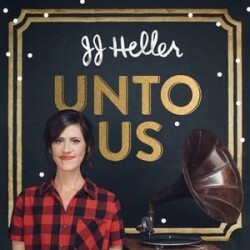 In mid-November, JJ Heller released her first full-length holiday album. The photoshopped album cover does not do this project justice, because these 13 holiday songs sound rich, robust, and soul-warming - with excellent production qualities. There are beautiful touches at every turn -- subtle bells, indie hand claps, a children's choir, strings. Many holiday albums seem like a "filler" slot for an artist - or maybe hitting an album quota for a label. You never get that feeling with Unto Us. It is squarely a holiday release, yet with 100% effort, and perfectly fitting for JJ Heller's sonic wheelhouse. It's a near-perfect Christmas album! There is so much to celebrate musically at Christmastime -- all good stuff, like fireplaces, sleigh rides, family time, and pine needles. However, our hearts should hold fast to center of it all, the birth of our Savior. This new release by Nashville worship leader Wes Pickering is exactly that -- a musical re-centering on Jesus. Still, it's not done in your typical mega-church power-pop worship (e.g. Hillsong or Chris Tomlin), but rather Wes takes a more Psalm-like approach with organic arrangements. On Glory, you'll find 5 advent hymns and 7 well-crafted originals. Wes' wife Hannah made the beautiful album artwork too. 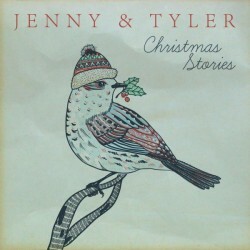 In late October, husband-wife duo Jenny & Tyler released their first full-lengh holiday album, and just their sophomore release since being signed to Residence Music. These 9 tracks have a throwback quality to them, which is sonically something different for Jenny & Tyler. Yet, somehow hearing their signature vocals in front of some big-band and jazz arrangements fits like hand-in-mitten. Their opening track "Christmastime" is a warm-fuzzy celebration of all things yuletide, and one of only two originals (our minor criticism). Jenny & Tyler's talent abounds and shows they are more musically diverse than most realize. We usually focus on the "hidden gems" of music, and by no means is Lauren Daigle hidden (i.e. 2016 Dove Award for Artist of the Year). However, the quality and craftsmanship of this Christmas release simply must be recognized. Lauren's vocal chords have become a mainstay on CCM radio, yet these 10 songs are anything but your typical CCM. Her restrained, raspy voice is perfect for the retro-jazz songs like "Christmastime is Here" & "Silent Night," and you get a taste of her vocal power on songs like "O Holy Night" & "Have Yourself A Merry Little Christmas." Amazing -- one of CCM's biggest artists produces a very non-CCM gem! 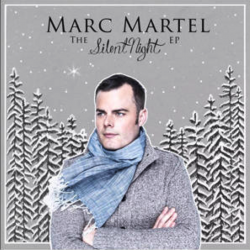 Former Downhere frontman Marc Martel has been busy launching his solo career. In fact, this mid-November holiday EP is his third album release in 2016! The star of the show is Marc's soaring tenor voice, which is even more on display since these seasonal arrangements are quite restrained. The standout track of the project is Marc's version of "What Child is This" - featuring accompaniment by Grammy-winner Ron Block (of Union Station). Our small criticism is that it would feel like a more complete album with 2-3 original songs (beyond yet another remake of "How Many Kings"). Still, a worthy listen this season. We hope this guides you to the best music made for this Christmas season. Tell us below: (a) do you plan on trying any of these releases cited above, or (b) are there any high-quality 2016 Christmas albums that you'd like to add to this list? And (for a limited time) click the contest link to the right to enter to win set of four of these new Christmas CDs! I just same across the album “He Has Come To Reign” by Sherdonna Denholm. Though not a 2016 release, it’s new to me! Wonderful and worshipful original Christmas songs with simply beautiful acoustic arrangements. Sherdonna’s pristine vocals are a perfect match for the lyrics.This record truly delivers the Christmas message of God’s love and redemption through Jesus. Thank you, Sherdonna, for a Christmas release to savor. I’ll also recommend The Vocal Few’s recently released Snowdrift EP. I suppose it doesn’t count for UTR, but Leslie Odom Jr. (aka Aaron Burr) released a Christmas EP in November which is stellar - my personal favorite of 2016. Thanks for bringing my attention to some of these on this list! I’ll have to check into the Wes Pickering album. I want to mention Salt of the Sound as well. Their Christmas album definitely caught my attention.